Our recent survey revealed that many people are not fully aware of the endless possibilities that DilogR platform offers to build high quality leads and engaging your audience. We want to give you a couple great tips to get qualified leads from your blog by making it interactive. Step 1: Create your blog and use an interesting image. Step 2: Use a caption below the image that tells them to take a quiz. Step 3: Embed the quiz into your company’s blog. 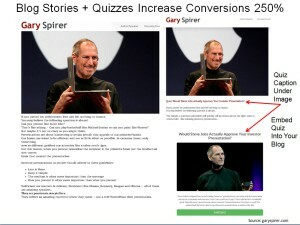 Turn your blog into an interactive quiz to increase engagement. 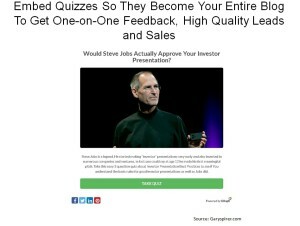 A quiz, the results of which are delivered via email, can be a very engaging way to generate new leads. We are always adding new functionality to DilogR and we will be sure to keep you updated on our progress as well as send you other great marketing hacks.